10″, 8″ and 6″ white cake iced with vanilla buttercream icing. Fondant drapes and pictures frames. Everything made by hand. 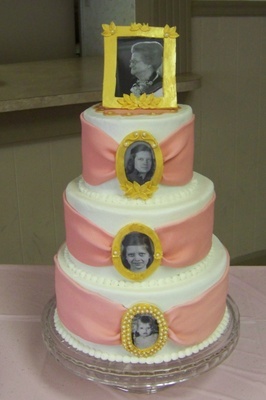 Each tier has a picture of the birthday lady at a different age starting at the bottom.